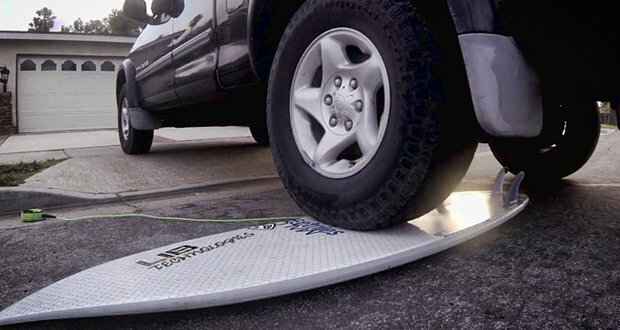 The surfboard line Puddle Jumper has been designed according to Lib Tech ECO ISO technology which uses woven basalt fiber fabric. As a whole, Lib Tech’s ECO-ISO construction involves some 30 pieces. 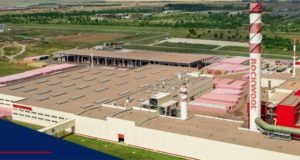 The layer of woven basalt fiber fabric bonded directly below a thin outer layer Hexzylon Fiberfoam goes on where fiberglass would in a standard polyurethane board. As the name says, Hexzylon Fiberfoam is composed of a mixture of very high-density foam. Basalt fiber is placed directly beneath the Hexszylon for more strength. Professional surfers who tested the Puddle Jumper provided a range of insights. The board is able to easily withstand a truck rolling over it and can’t be hurt when thrown down on hot asphalt during a wetsuit change. So the surfers think it is the most durable board they have ever seen. Of note about Lib Tech’s production model, the ECO ISO construction process is much healthier for the craftsmen building the boards than polyurethane. Lib Tech also manufactures snowboards using basalt fiber in the process.